A happy satire comes to Alpenrose Dairyville in September. 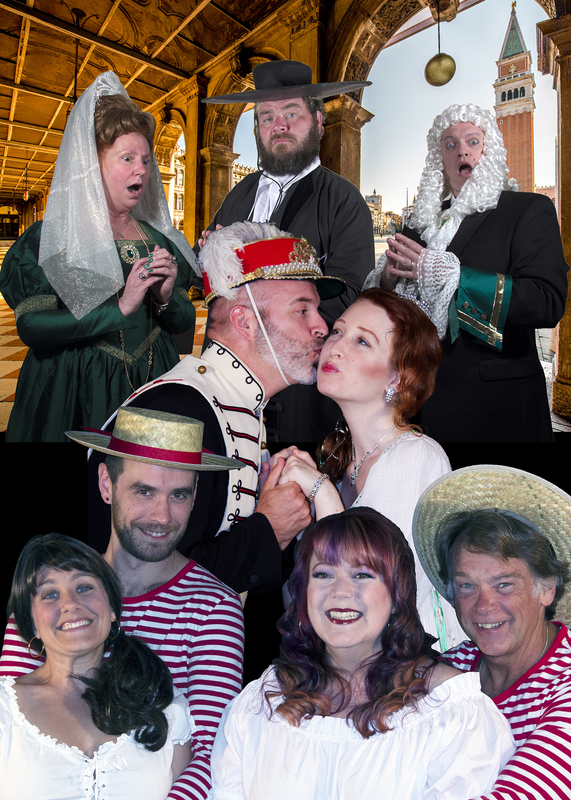 Light Opera of Portland takes a dig at class distinctions in Victorian society as it presents another of Gilbert & Sullivan’s delightful light operas next month at the Alpenrose Dairyville Opera House. On September 22, 23, 24, 29, 30 and October 1, the company will present Gilbert & Sullivan’s The Gondoliers. The twelfth comic opera collaboration of fourteen was written after a falling out between the pair. The joy of their reconciliation comes through the beautiful music as well as a deftly turned phrase. Gondoliers is an hilarious parody of the class distinctions that existed in England in the late 1800s by showing how expressions of unity and acknowledgements of equality promote peace and contentment. The audience will be amused by the confusion that reigns as two charming Venetian gondoliers, Giuseppe and Marco, are informed that, due to an error of identity when they were young boys, one of them is the heir to the throne of the (fictional) kingdom of Barataria. They agree to rule the country jointly until the rightful heir is discovered, and fun ensues as the truth becomes known. To add to the confusion, Gilbert & Sullivan toss in a dose of love and mistaken identity, as is their custom. The Friday and Saturday performances will be at 7:30 PM, and the Sunday performances will be at 3:30 PM. Tickets are available at http://loopgondoliers.brownpapertickets.com/. As has been their custom, the LOoP players will be serving ice cream sundaes to attendees following each performance. See http://www.lightoperaofportland.org/the-gondoliers-2017 for more information on this production. About LOoP: Now in its sixth year, the Light Opera of Portland is one of the very few resident musical repertory companies in Oregon. As much an extended family as a group of players, the troupe brings together talented cast and crew members to perform live light opera and musical theatre productions, specializing in the works of Gilbert & Sullivan. Outside of creating a fantasy world on stage, a few LOoP players have real world jobs that are a bit less fanciful, including an insurance agent, a public health manager, an accountant, a policeman, and a forest cartographer. More information is available at www.lightoperaofportland.org. About the Alpenrose Opera House: Located at 6149 SW Shattuck Rd, Portland, OR 97221, the Alpenrose Dairyville Opera house hosts nightly screenings of comedy shorts as well as theater performances of the Northwest Senior Theatre and the Light Opera of Portland. Last year, the Alpenrose Dairy celebrated its 100th anniversary.